Image: John Gollings. 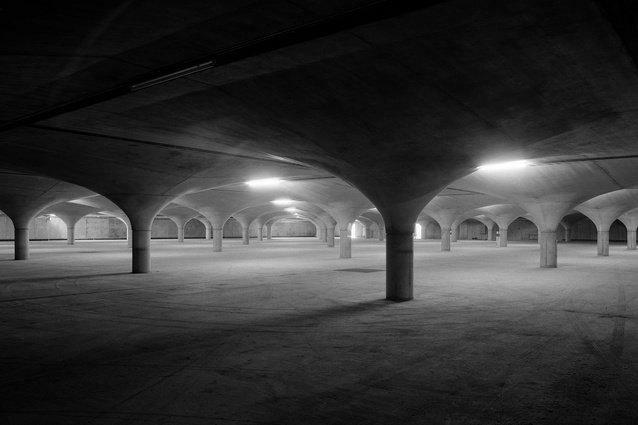 University South Lawn Underground Car Park by Loder and Bayly in association with Harris, Lange and Associates. The Australian Institute of Architects have revealed the shortlist for one of the highest honours in Australia's architectural community. The institute received a record 983 entries across 14 different categories of design. Jury chair and Immediate Past President Ken Maher said the entries exemplified "the positive impact architecture has on our cities, towns and landscapes". "Of course, the exceptional projects we visited represent only a small part of this contribution, much of which goes unrecognised," he said. "Reflecting on the state of architecture as observed from the visits, we were heartened by the maturity, creativity and accomplishment demonstrated by the profession across the board, from well-recognised practitioners to emerging practices and younger architects. "The remarkable testimonies from clients were touching – many revealed that they had gained a true understanding of the value of architecture through undertaking their projects," Maher said. Following the Chapter Architecture Awards presentations earlier in the year, 205 entries were eligible for national judging and the jury has today revealed their shortlist of 72 projects ahead of the awards ceremony. Keeping pace with the recent apartment construction boom, particularly along the eastern seaboard, there was a record number of projects in the Residential Architecture – Multiple Housing category on the shortlist. A large number of educational projects were also selected by the jury for "inventive design thinking that has expanded the pedagogic and experiential agendas". Maher was joined on the jury by Mel Bright, Lawrence Nield, Sue Dugdale and Peter Maddison. Launching on World Architecture Day, Monday 2 October, the annual People’s Choice Award will once again give members of the public the opportunity to vote for their favourite residential project from the shortlist. The 2017 winners of the National Architecture Awards will be announced at Albert Hall in Canberra on Thursday 2 November.